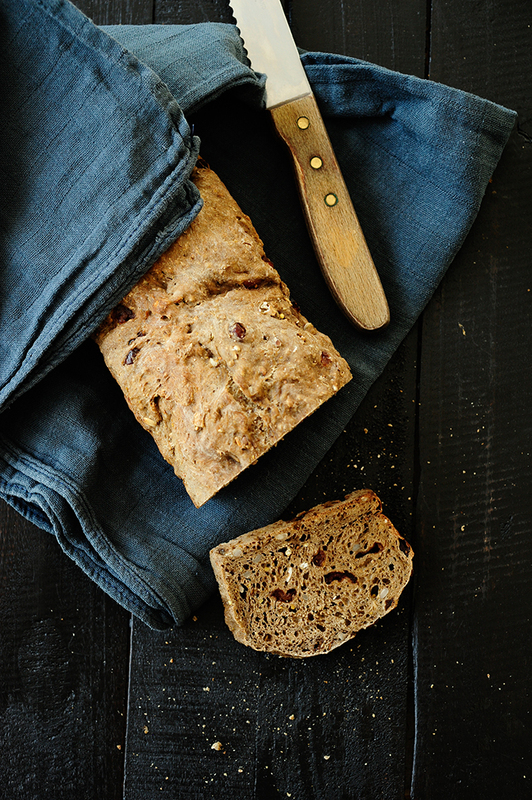 An amazing bread with seeds and dried cranberries. It is delicious and easy to make. Cranberries add a slight sweetness that goes well with savory and sweet. 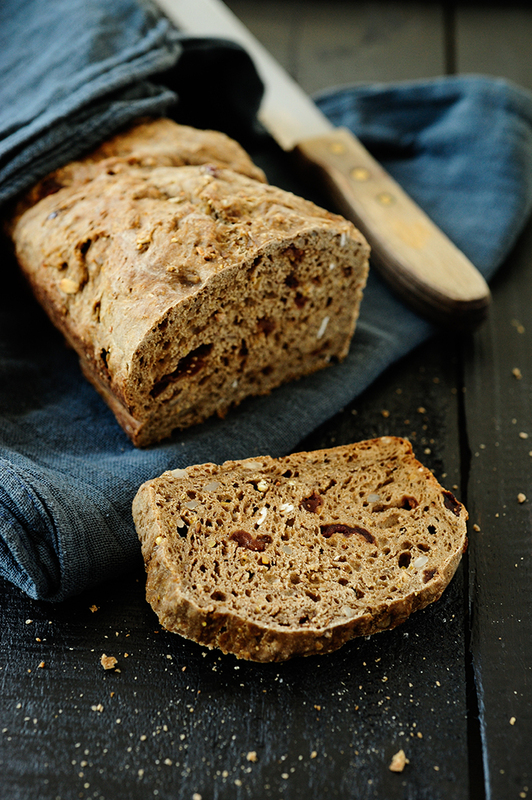 I make this bread almost every week, it’s delicious for breakfast when it is still warm, so you can make the dough the day before, store it in the fridge overnight and take it out 30 minutes before baking. In a large bowl, mix the flour with yeast, grains and cranberries. Add the oil and salt, pour warm water and knead to a smooth dough. You can optionally add a little more water when the dough gets too hard. Set aside to rise for 40 minutes. Knead the dough again and put into a greased loaf pan. Cover and leave to rise for another 40 minutes. Bake for about 40 minutes. Touch the top of the bread with a fingertip, when it still feels soft put it for 5 to 10 minutes more in the oven. Enjoy!